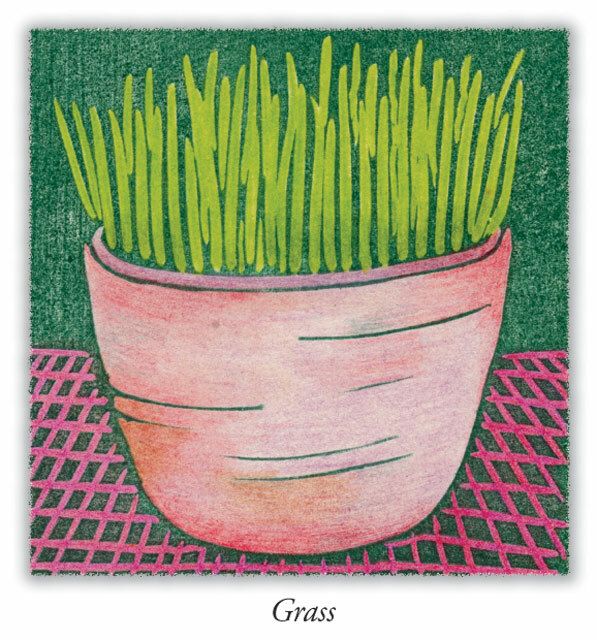 OKAY block-print image – Grass. The fridge pads are 3" x 9". Each holds about 40 lined sheets. Each has a strong magnet on the back. All are individually sleeved. Bottman prints in the USA on paper from sustainably managed forests.